This little Santa keeps popping up in my life. If you remember from a couple weeks ago I used him for the Make and Take I did at Creative Cuts and Crafts. This week it was Joanna's choice for the Design Team at Bitten By the Bug 2. I loved him when I did him for the Make and Take but he was really simple for that. This time I decided to give him a little more detail. I used the Winter Frolic Cuttlebug Companion Embossing Folder to make the background for Santa. 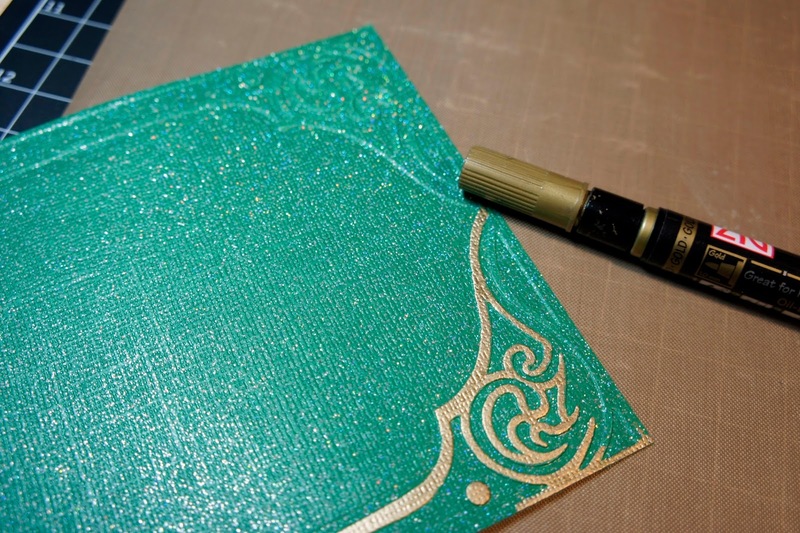 I embossed it in green first and then colored over the embossed part with a gold pen. I then Embossed it again in Blue, cut away the outside of the design and then ran that shape through a Snowflake Cuttlebug Folder. 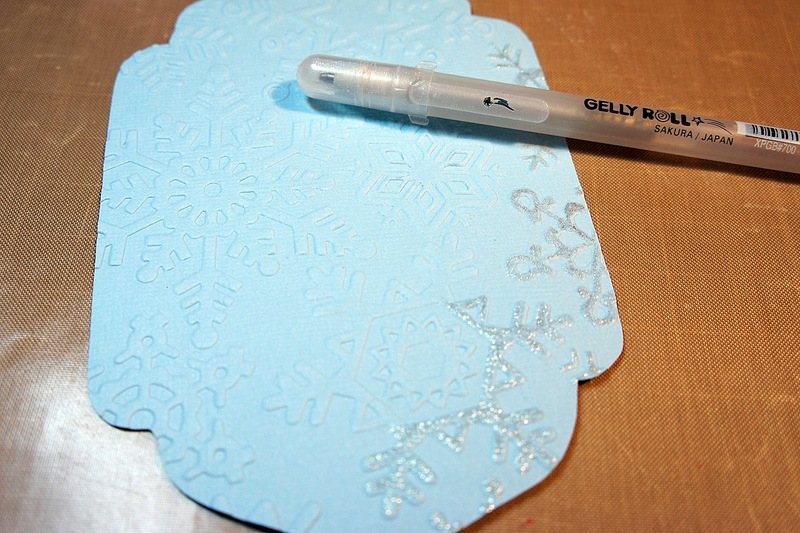 I then used a Silver Gelly Roll pen and went over the snowflakes to give it some sparkle. This time Santa got some cheeks chalked in pink and a red nose! A little detail to his eyes and a bag embossed with a Tim Holtz Burlap Embossing Folder inked in Rusty Hinge. Go on over to Bitten By The Bug 2 to see all the other creations made with Santa! I ADORE this card! Really, really pretty. And thanks for the tutorial; I wondered how you did the gold. Super fabulous!!! 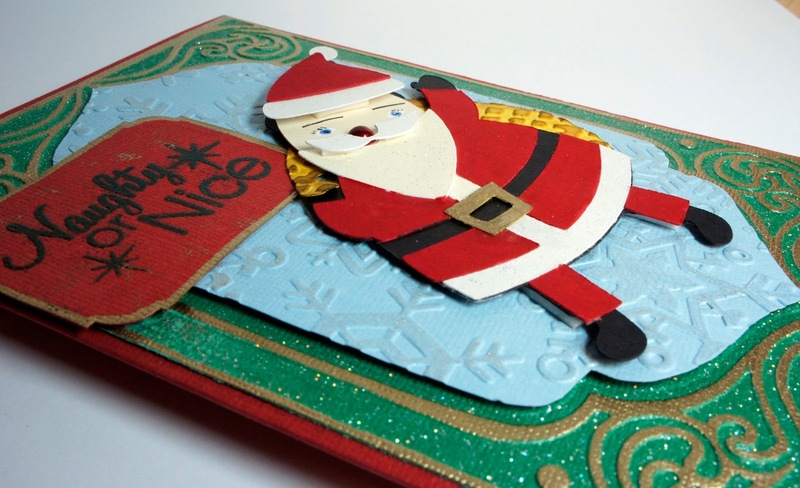 What fantastic embossing and effects you've added to your Santa cut. Very pretty. So traditionally festive - love the detail on the Santa and the snowflake embossing. Love the card Maria, Love Snata's nose, and Wow that embossing is over the top, I love it! I'm always lazy and just wipe the ink pad over it, I'll have to try the paint pens, I have some and never use them, thanks for reminding me of them, lol! Very cute card Maria...the details are perfect. Gorgeous details on your card, Maria. Very very cute. This is so pretty!! I love that frame you put Santa in and I really like his cute red nose!